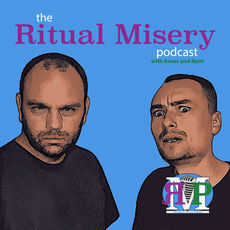 The Ritual Misery Podcast is a conversation of two life-long friends and military veterans talking about gadgets, tech news, geek culture, and military life in an easy-going, simple to follow format. The podcast is aimed at tech-savvy family-oriented self-identified geeks interested in contemporary tech topics, news, and random geekery..
Anthony lives in Alaska with his wife and children. His sister-in-law and niece round out his never-boring household.He has proudly served in the U.S. Air Force for nearly 22 years as an aircraft mechanic and/or paper-pusher. He’s been stationed in South Carolina, Okinawa, Hawai’i, Louisiana, South Korea twice, Texas, and Alaska. He’s visited Saudi Arabia, Germany, Portugal, Spain, Turkey, Kuwait, Qatar, Iraq, and nearly every State in the Union. Anthony’s been listening to podcasts since he found Buzz Out Loud in June 2008 and producing his own podcasts since June 2014. He has 20 years of life experience building/refurbishing computers, setting up networks, and dabbling in programming/scripting, including several years as a Workgroup Manger and Client Service Administrator. 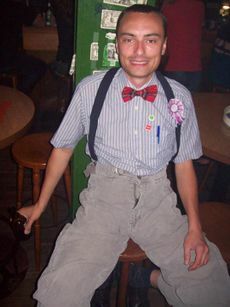 His hobbies include podcasting, web design, reading fantasy novels and tech articles, and watching movies with his wife. He still loves, but can’t find time for, D&D (3.5e), DJ/KJing, WoW, and candid street photography using ambient light. Oh, and drumming. 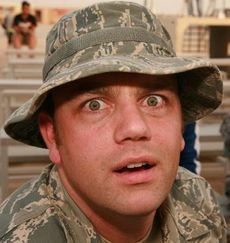 Kent retired from the military and now podcasts full-time. He wishes! Only the first half of that statement is true. Perhaps one day… He is the co-host of The Ritual Misery Podcast, Film Zone, and the upcoming Blue Box Travelers. When not doing podcast things, he enjoys spending time with his family, writing beer reviews, and doing all things nerdy. This page was last modified on 8 February 2018, at 21:17.